Episode 12 of the NewRetirement podcast is an interview with Bruce Goldberg. Get the fascinating inside scoop on the real life of a former drug enforcement agent and hear his useful insights on how to retire early and what his life is like in retirement. Steve:	Welcome to the 12th podcast for NewRetirement. 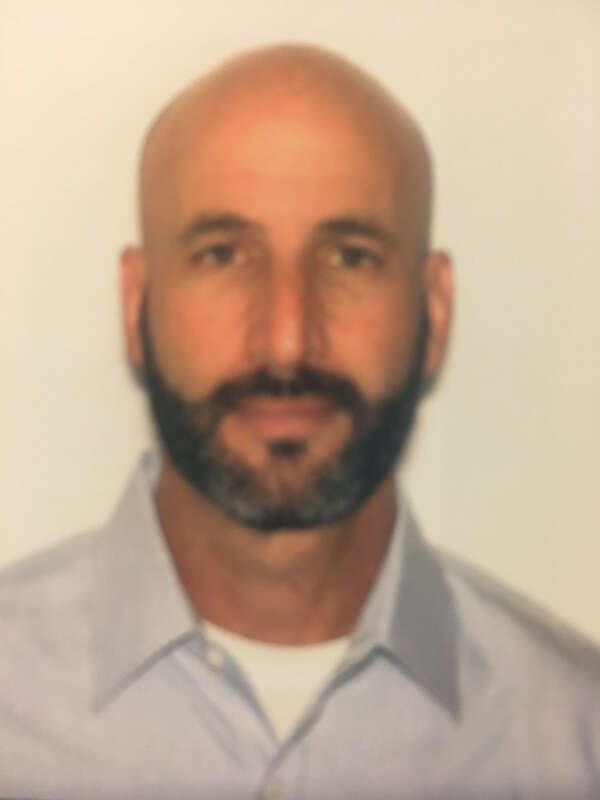 Today, we’re going to be talking with Bruce Goldberg, a recently retired Federal DEA, Drug Enforcement Administration, Agent about his career arc, life overseas, how and why he chose to retire at 52 and what’s next. Our podcast guests, so far, have been subject matter experts on topics like behavioral finance, investing, work in retirement, personal finance, Social Security retirement income, FIRE, and purpose, but we wanted to learn from some more “regular” people, who are transitioning into retirement or engaged in lifestyle design. Bruce, welcome to our show. Thanks for joining us. Bruce:	Thank you. Good to be here. Steve:	Yeah, I appreciate you making the time. I wanted to start just learning a little bit more about your background. You’ve had a pretty interesting and different career, relative to most people. What led you to get into the DEA? Bruce:	Well, I had always wanted to be a police officer, ever since I was a little kid. I mean, it’s either the police officer or the garbage truck driver, right? Eventually, you realize that the garbage truck smells, and you’d rather be a police officer, so all my growing up years, I’d been gearing towards being fascinated with what police do and the community service and the purpose of it. When I was in college, my older brother, who was a chemist by trade, took an internship with the DEA. Through him, I met some of the agents, when I’d go out to visit my brother. That was the first I had learned about the DEA, and I said, “Wow! This seems like a really cool job.” While my last semester of college, I applied with the DEA, as well as other law enforcement agencies, because I was graduating and looking for a job, like all young people. As I made my way through the hiring process for all the different jobs, DEA was actually the first ones to call and offer me a position. Steve:	That’s interesting. What did you study in college? Steve:	Okay, so you had the background. What kind of people did you see joining the DEA? Was it a lot of military or is it all kinds of folks? Bruce:	Now, we see a lot of military and prior local law enforcement. The requirements now require two years of some type of professional investigative experience. We’re seeing a lot of military, a lot of local law enforcement, not so much people right out of college anymore. Steve:	Huh, interesting. I’m going to ask you a random question. I just watched Sicario. Is that at all realistic? Are those kinds of movies at all realistic or is that just totally made up? Bruce:	No, it’s not. With the 24-hour news cycle and social media and everybody having a camera on their phones, the type of things you see in some of these movies, if that was really going on, you’d hear about these military convoys crossing the border and chasing bad guys and doing all these Secret Squirrel things. While those types of covert activities do exist, a lot of times they’re not that action packed. Steve:	Got it. Got it. When you first joined the DEA, what was the first thing you were doing there? Bruce:	Well, as I joined the DEA, I was 23 years old, so I was much younger than the average age of those who were coming on the job, which was about 29 years old. As a young guy, there was a lot of things I needed to do, maturity wise, to learn how to be professional and conduct myself in stress situations and things that really affected the outcomes of people’s lives. I mean, putting somebody in jail and denying them of their freedoms is a very significant authority, and you have to take it seriously. Early in my career, a lot of the work I did was really supporting the investigations of the more senior agents in the office, but there were a couple of opportunities for me to work undercover, because of my young age. I blended in better with some of the young criminal element, because of the way I looked and my age. Steve:	Got it. Can you share a little bit about some of the … Did you have any peak experiences around doing that? I think, when we talked earlier, you mentioned you were doing some work in San Diego and some of the stuff that was going on down there. Bruce:	Right. My first assignment was in San Diego, California. That’s where I hired on. At the time, the agency did not have the money to transfer all these incoming agents to new assignments, so instead of paying to move them all over the country, they just sent us back to where we hired from, which for me was great, because San Diego’s beautiful, and I had family there. My first undercover activity, about three, four months on the job, I was going to buy LSD on Pacific Beach, right across the street from where the roller coaster is, that historic roller coaster. It was a Jack in the Box restaurant, at the time, now … I passed it a month ago. Now it’s a Starbucks. Go figure. I was introduced through a confidential source, who had been arrested and wanted to cooperate with Law Enforcement. At the end of the day, everybody cooperates with Law Enforcement. They all do. Regardless of the songs and what they tell you, nobody wants to go to jail for their full exposure. They’re willing to cooperate. This young man, who was arrested, took me along and introduced me to who he bought LSD from. I negotiated with them for a large purchase of LSD, which at the time was a large purchase. It was about $1500 worth LSD tabs on blotter paper. I was wearing a pair of shorts and a tank top and flip flops. I met them at the Jack in the Box and we negotiated. A week later, I brought the money, and they brought the drugs. When it was time to arrest them, all hell broke loose. It’s a great story. My cover team, the agents who were covering me and were going to come in, when I gave the prearranged signal to arrest, was much older than I. The guys I was negotiating with were my age, young 20s, and so when I gave the signal to arrest and they started to come in and make the arrest, the young guys I was negotiating with, and there were four of them eventually, saw the Police coming and ran away on foot, and the foot chase was on. I didn’t want to stay out of the action, so I went to my car real quick, grabbed my gun, and gave chase to the nearest guy I could. I caught him, and we had a little bit of a fight in the alley. As all this was going on, the local Police were notified about a drug bust in progress and suspects on foot and fleeing arrest, while I’m fighting with this guy in the alleyway. I was getting the upper hand, and I’m standing over him now, and my gun pointed at him. I don’t have any handcuffs on me. A police car pulls into the alleyway, and the two police officers see just me. Steve:	Right, your flip flops and tank top. Steve:	Right. Do they train you on how to deal with that situation, if you’re undercover, like how to negotiate with another police force, in the moment? Bruce:	Well, in that instance, when you have armed police officers pointing their weapons at you, it’s a high stress situation. The only thing to do is really just do what they tell you to do, right? I put down my weapon at far enough distance from the bad guy that I was standing over, and complied to their commands until they were able to fully understand that I was the good guy. Makes for a great story, but at the time, it scared the hell out of me, right? Steve:	I wonder if the bad guys put that out. Yeah, I mean, they talk about people in military and in law enforcement, that there’s a lot more stress that those folks go under and actually results in lower life expectancy. Do you guys talk about that inside of your crew? Bruce:	We do. I couldn’t give you the exact figures, but the rates of divorce among people in law enforcement are higher than the average. The rates of suicide are higher than average. It’s something that a lot of us keep in the back of our minds. When you’re young, and you want to be involved in law enforcement, those types of things and thinking about retirement are nowhere near in your frame of mind. You’re just excited to have the job. As you get on in years, then those things start to come into play. As a younger guy, he was on motorcycle duty, and a call came in about a robbery, an armed robbery, in a house. The guy was on foot, and it was three miles away, and so they were supposed to keep their eyes open. He didn’t expect to see this guy, but then he saw someone that looked like him going down the street, so he spun around and followed this guy. The guy took off and ran through some backyards. He had to jump off his motorcycle, so he’s trying to call for backup, but they’re not close. He runs him down, tackles the guy, and they’re fighting. He’s gone from normal everyday life to, now, he’s in a fight for his life with this guy in the backyard. He related that basically it was clear that he was going to have to use additional force to stop the guy, so he pulls out his gun, and now they’re fighting over his gun. I don’t know. Somehow the gun got introduced, and now they’re fighting over the gun, and so he was like, “Okay, I’m going to have to shoot this person.” He’s right next to him, right? They’re wrestling. Bruce:	That’s something all of us think about, right? I mean, that’s a tough thing to live with, when you take another person’s life. It’s something that we all dread, that day. I’ve been in that situation a few times, and thankfully, thankfully, I’ve never actually had to shoot somebody. I’ve come really close, and I’ve been in situations where shots have been fired. It’s a real wake up call. I mean, when you finish, and the adrenalin has now left your body, and you’re past that moment in time, you really have to come to terms with it. You’d like to think you’re invincible and that kind of thing isn’t going to happen to me, but it does, you know? Bruce:	In a way, yes. I mean, they give you scenarios. We were fortunate enough to have time with other agents, who had been in those situations, either who had been shot or have had to shoot somebody, but until you’re actually in it, until you’ve actually experienced it yourself, I don’t know how well you can really be prepared for it. Now, thankfully, the Government, DEA and other agencies, offer … In my agency, it’s called the Employee Assistance Program, or the EAP. They make available, to you, mental health services and things like that, for when you have those situations. One of the shootings that I was in, it’s a mandatory part of the post-shooting protocol that you visit with a clinician to talk through what happened. It’s confidential. If the clinician feels that you need followup to deal with whatever trauma you have experienced, then you’ll have that, all right? It’s not a cost to the employee or the agent. It’s just having that mental health support when you need it, not have to worry about either the stigma of going, because it’s confidential, or the ability to pay for it, because it’s provided. I think that’s great. Steve:	Wow, yeah, it’s amazing. I mean, this is what is so different about your experience versus most people. I want to talk more about how your career unfolded. I know you did some work overseas and stuff like that. Before we move on, any other highlights from the beginning of your career, not that I want to dive too much into the Bourne Identity stuff here, but it’s interesting to hear this. Bruce:	Well, like any organization, it gets bureaucratic at some point. When you’re young and you’ve just started with DEA, you’re assigned to a group, a squad, a team, however you want to refer to it. There’s usually 8 to 10 of you and the supervisor. Really, your whole world focuses on that group and the investigations that group is doing, so all the politics and the bureaucracy of the agency are not involved. It’s a wonderful time in your career. You can be naïve to all the politics and bureaucracy that goes on, but those first 10 years on the job were probably the best for me, because it was just pure crime fighting and being out on the street every day and supporting your teammates and putting bad guys in jail, and all the things you signed up to do. Steve:	I know you were an athlete in high school, and also in college, too? Bruce:	I went to a Division I school. I did not play football in college. I did post college. I played two years of football in a law enforcement charity league. We played other police and fire departments around the United States for charity, but it was full contact college rules football. Steve:	I think you mentioned before, some of your tackling experience came in handy in a couple of things. You were the designated runner or something like that. Bruce:	Exactly. Being the young guy and being in good shape, and I like to do a lot of sports and keep my physical fitness up, so working in groups with older guys, when we would do these, what we call buy bust situations, where we would culminate a case with a bad guy bringing us drugs or chemicals or whatever it may be, and we’re actually going to arrest them that day, most guys are dressed in heavy tactical vests, boots. They’ve got a lot of equipment on their belt, handcuffs and batons and your gun and extra magazines and the radio. They would pick one or two guys to be in a lightweight vest, running shoes, and very limited equipment on their belts, because if the guys ran away on foot, somebody had to go chase them. I was that guy for a number of years. Steve:	Nice. Well, I’m glad you got to put your athletic stuff to good use. After that, I know that you did some work in training in the San Francisco Field Division, and then in Washington, and then you worked overseas. Can you give us a quick overview of just how your career unfolded, and I’ll talk to you a little bit more about it? I’m especially interested in some of the stuff you did overseas, and just what that experience was like. Bruce:	Sure. I started my career in San Diego. I spent my first eight and a half years in San Diego. In San Diego County, in the late ’80s and early ’90s, a lot of what we dealt with were methamphetamine type cases and methamphetamine labs, very toxic, very dangerous, requiring a whole other skillset of how to wear personal protective equipment, air respirators, and know the hazards of some of these chemicals you were dealing with. A lot of my investigations, early on, were these meth lab type cases. I developed an expertise in processing these labs and making sure that we were safe in doing it. A lot of police are taught how to shoot and how to write reports and how to interview people, but when it comes to these types of investigations with labs, knowing the boiling point of a certain chemical or the off-gas point, is all unknown. Steve:	Right, because you read about these houses blowing up, right? Bruce:	Exactly, exactly, and it contaminates the waterways. It contaminates the land. It’s really bad. I spent a lot of time working these meth labs, and after eight and a half years, I had pursued a position, was asked to actually apply for a position at our Office of Training, to help teach the Basic Clan Lab Course that we taught to other agents, local police, even police in other countries. I accepted that position, and I spent two years at our Office of Training in Quantico, Virginia. It’s on the Quantico Marine Base, right next to the FBI Academy. I helped teach that clan lab course. I did that for about two years and got the itch to want to go back to enforcement. I applied for a position in San Francisco as a supervisor. I got accepted to that position. I came to San Francisco for the first time in 2000. I spent a year running the San Francisco Airport Task Force, working with San Francisco Police, San Mateo County Sheriff’s Department, and had a great time. Steve:	Are there a lot of drugs going through SFO? Steve:	People are just bringing this cash in, in their luggage and stuff like that? Bruce:	Yeah, $20,000, $100,000, $200,000 of cash in their carry on bag or their checked luggage. It’s unbelievable. Steve:	How do you ID these folks? Is there some pattern? Bruce:	There’s a process. A lot of times, just by seeing people purchase a ticket at the last minute, paying in cash potentially, having a quick turnaround, having almost no checked in bags, and their coming to San Francisco, right? You think you’re coming for vacation. You’re going to stay a while. You’re doing this or that. When you talk to some of these people, they don’t have a hotel reservation. They can’t identify the person who’s coming to pick them up, a lot of these unknowns, which indicate that they’re probably up to no good. Bruce:	Yeah, they’re coming in domestically. Bruce:	The marijuana’s leaving California in parcels and trucks and car trunks, and you name it, and then the money’s being flown back in. After a year doing that, I moved up to the city, and I spent two years supervising the San Francisco’s Metropolitan Task Force, again with other law enforcement agencies, working together for a common goal. We spent a lot of our time working on large scale Mexican drug traffickers bringing heroin into the United States. Then, after three years there in San Francisco, I had to do my headquarters rotation, go back to Virginia, which all first-line supervisors have to do. I spent two years working in our Office of Inspections, which means we were doing administrative inspections of all our offices around the world, and doing the noncriminal shooting investigations, so shooting investigations from a policy standpoint. If there was any negligence involved, that would be referred to our Internal Affairs section or what we call our Office of Professional Responsibility. While I was there in the Office of Inspections, I applied for my first overseas position that I got accepted to. I’d actually applied to a lot of positions. It’s difficult. We have a little less than 5000 agents, and only 400 of them are located outside the United States. Some of these countries … It’s pretty cool to get selected to work overseas. I got selected to be the country attache for our office in Quito, Ecuador. Ecuador is a beautiful country. I had some amazing experiences there. I met some wonderful people, did some amazing investigations. Ecuador’s only downfall is geography. It’s located right between Colombia and Peru, the two world’s largest producers of cocaine in the world. 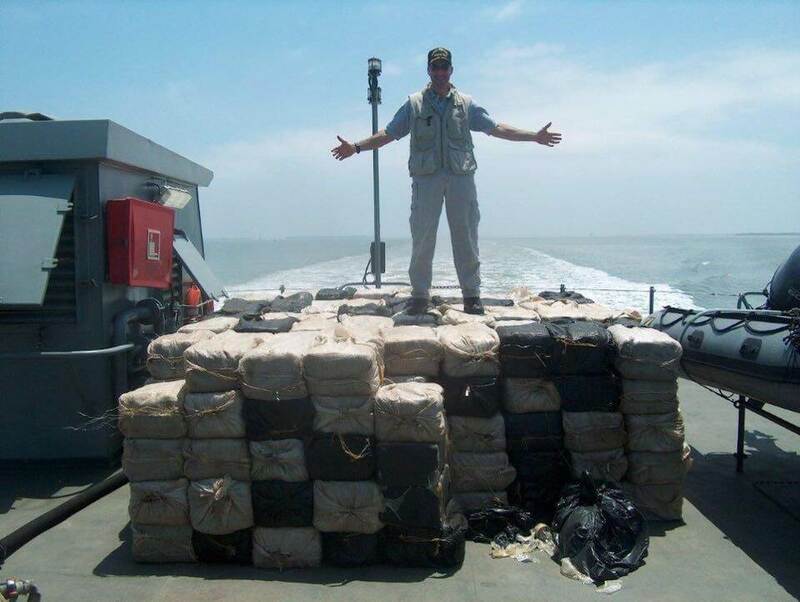 Geography makes it very difficult for the Ecuadorian Government to deal with all this cocaine that is moving overland into their country and then leaving via aircraft, containerized cargo, fishing vessels, semi-submersible submarines. Steve:	Wow. Are the governments cooperating, generally? Because you hear mixed messages, oh sometimes, maybe. Bruce:	While a country … my last five years in Ecuador … I was there six years and eight months. My last five years, the government was being run by a leftist president, Rafael Correa. While Rafael Correa did not agree with the policies of the United States Government, we had a common battle. We had a common cause in drug trafficking and, to the extent possible, I had great working relationships with my Ecuadorian National Police counterparts, the Ecuadorian Military, and members of the government. I mean, they didn’t like the drug problems that were occurring in their country any more than we did, and so, from a law enforcement standpoint, we found common ground. Whether their government disagreed with some of the policies of ours, we worked very well together. Steve:	Right. It’s such a big market, and there’s so much money flowing through it, you always … I would think that a lot of people in any, U.S. or internationally, could be subject to being influenced by that money. Steve:	Did you see that? Bruce:	A lot of corruption, no doubt. There’s a lot of corruption. Some of the things that we as DEA agents do to get hired, a background investigation, a polygraph exam, we also in this country deal with the concerns of corruption. While I would say, in Ecuador and Peru and Colombia and places that I’ve been, there is corruption I think on a grander scale than what we see in the United States, but we’re not immune to it either by any stretch or means. After Ecuador, I came back to San Francisco. I came back to San Francisco and became the Assistant Special Agent in Charge in July 2012. I stayed here for three and a half years, and I managed a number of different operations or offices, our office in San Jose, our office in Oakland, some of our administrative functions, our intelligence functions. I wasn’t in an enforcement role anymore, so now I’m in the politics of it, right? Bruce:	Yeah, I’m in management. I did that for three and a half years, and then had an opportunity to apply for a position in Peru. I had a wonderful experience in Ecuador. I was looking forward to the opportunity to go back down overseas, and went to Peru in January 2016, and about a year and a half into it, I decided that I had peaked my fun meter. I had 28 years, or five weeks short of 28 years of service, and it was time, right? Thankfully, my wife and I had kept our house that we owned here in beautiful Mill Valley, and it was just time to come home. Bruce:	I thought I would be in Peru three years. I thought I would do a full tour. About six to nine months into it, I realized that I was ready to move on. I had been there about four months, and I was the Acting Regional Director. There wasn’t a Regional Director in place. The Regional Director, who selected me before I went down, had gotten a promotion and went to D.C., so when I arrived, I was the boss temporarily. When the new boss was selected and showed up, it was obvious that he wanted his own person and, to a certain extent, I think he felt very insecure that here was somebody who had been managing the office for four months, had gained the trust of a number of the employees, and was a little insecure with the fact that I probably knew more than he did. It was not a good relationship from the beginning, and I knew it was time. At about six to nine months into it, my wife and I really started to discuss and go over the numbers to see if it was possible that I could retire at age 51. I’m 52 now, but this was 10 months ago. Steve:	Yeah, it seems so young. Bruce:	It is young, no doubt. Steve:	Yeah, right, and I guess you came to that conclusion. I mean, it’s interesting hearing this. I hear this from more and more of my friends, where the same thing happens in the private sector. You’re in one situation, and then someone else comes in, and they typically want to clean house and have their own team. Bruce:	I can understand that, to a certain respect. I mean, I was there to do a job. I was there to support the mission, and I could do that for anybody. If I thought that that person had the integrity and the wherewithal to allow me to do my job, things may have been different, but that’s okay. I had promoted to that level. I had gone into that world. On other occasions, the politics and the bureaucracy about who you know have favored me, right? I get it, all right? Now, the benefit is I had had almost 28 years of service. For me, as a Federal Law Enforcement Officer, I could retire after 20 years of service, if I was at least 50 years of age or 25 years of service and any age. I reached 25 years of service when I was 48, because I had started so young, so I had that option, all right? I had that option. Steve:	Yeah, that’s an amazing option to have. I think it’s interesting, though, that for a lot of folks, I mean, in general, people believe that they’re going to work until their 60s, but the average retirement age is around 57. For whatever reason, across the board, public or private, people end up leaving their traditional careers earlier, and many years earlier, than they had originally planned. Bruce:	Right, and I’ve retired from my career, and I like to say the word that I’ve retired. I haven’t stopped working, but I’ve retired from my career job. The things that I do now, part-time or on a volunteer basis, are things that keep me engaged, keep me on some type of a plan, some type of a schedule. You’ve got to have that, right? I know we’re going to get into that and talk about it, but at 52 years of age, I am young, right? It’s not the time just to stop doing everything. When you think of I’m going to retire, and it’s like, okay, the first thing I do when I get back to the United States is order that La-Z-Boy chair … Well, no, that’s not in the house, right? That’s not the plan. Steve:	Yeah, so you’ve reached this point where you were financially independent, basically. You could do what you want to do. I mean, do you need to work at all? Bruce:	No, I do. I mean, if I lived in other parts of the country, probably not. I mean, but we live in a very expensive town, all right? Mill Valley, California, is one of the most expensive places in the United States to live, whether it’s real estate, price of gas, you name it. I’m a believer of “you get what you pay for.” It’s a beautiful day out today. There’s almost no humidity. We don’t have a lot of bugs. The beach, I could walk to. I could be in the mountains in less than three hours, gorgeous cities, gorgeous restaurants in the city 10 minutes away, and a large international airport close by. I mean, we have everything we need here. Steve:	You could go into real estate. Bruce:	Yeah, so do I need to continue to work? Yes. Do I have to work full-time? No. I want to make it work. We love it here. I still have two kids in school here. I think it’s a great place to grow up, and we’ve definitely become part of the community, either through the school and meeting people who have kids of similar age, or just some of the things I’ve done in the county or in the city to support my community. My kids spent some of their earlier days here. They played baseball and soccer and football, and so you become part of this community, right? Bruce:	Right, because I could be financially independent, if I moved to a less expensive state, but it’s starting over, all over again, in your community, who you know, who you socialize with, what you’re going to do. Steve:	Mechanically, what you have going in your favor is you’ve got this long career, I’m assuming a pension. Bruce:	When I retire. Now, our retirement system is broken up into three parts. There’s a traditional pension, which is a percentage of your salary, based on your last highest three years, or highest 36 continuous months of salary, and the number of years in service. Mine worked out to be 41% of my base salary. That’s my traditional pension. Steve:	Okay, and does that adjust for inflation, over time? Bruce:	Secondly, we have what’s called the Thrift Savings Plan, which is basically the government’s version of a 401(k). I’d been contributing into it, since I was on the job at the one-year mark. Back then, you had to wait a year, and then you could start contributing to it. The government matches a certain percentage, up to 5%. There’s a cap, just like the 401(k), of how much you can contribute each year. I was contributing the maximum amount each year. I think the year I retired, the maximum contribution was $18,500, so automatically through my years of service, I was contributing at least 10% to my retirement, if not a little more. Steve:	Good job, because the recommendation is to save 10% to 15% of your salary. Steve:	Plus you have the pension on top of that. How can you … What kind of choices do you have for investing that? Is it a typical set of mutual funds or funds? Bruce:	They are a set of mutual funds, and there are five or six different funds you can invest in. There’s just a regular government … There’s two funds that are secure with very remote chances of losing your principal, and then there are stock funds that have a much higher risk, right? Obviously, over time, the riskier funds can earn a higher percentage. Steve:	What was it you mentioned? There’s the pension, there’s the TSP, and what was the third leg? Bruce:	When you’re age eligible. Steve:	Okay, so you can get Social Security, too? Steve:	Yeah, if it’s still there. Bruce:	When I turn 70, if it’s still there. Steve:	We just put up a podcast with Mary Beth Franklin about this, and also I’m sure you’ve seen the news that it’s due to … Social Security will only be able to pay about 75% of the benefit in 2034, so it’s … Medicare’s in worse shape. Bruce:	Realistically speaking, I’ve always thought of my contributions to Social Security as a way to support my parents. I have not been fully secure in thinking that it’s going to be there for me, when I turn 67 or 70. Steve:	Yeah, I mean, personally, I think it’ll be there in some form or fashion, but they’re going to have to make adjustments, like move out the claiming dates. Today, it’s you can claim at 62 or your full retirement age, which is 66 or 67. It moves up as time goes by, or 70 is the max, but I think they’ll raise the 70. They’ll probably raise the full retirement age, and maybe they’ll raise the lower limit, too. Bruce:	If they phase that in, like if they said, for people who are under age 50, it’s going to be 63, and if it’s your under 40, it’s going to be 65. If they phased it in, I think that would be a really good approach, but it’s such a political football to say that you’re going to change Social Security. Nobody wants to be that guy. Bruce:	I am young. No, as part of my … One of my benefits of working for the Federal Government, I get to keep my health insurance. If I had it for the last five years of my employment, I can keep my health insurance at the rate of payment, at the cost of what I was paying, when I was employed with DEA, which is amazing. That’s an amazing benefit. Steve:	What does health care cost when you work at the DEA? Bruce:	Well, with a family, so I have three children that are still under 26 on my plan, I think I am paying, personally, about $650 a month. Steve:	Wow. That’s amazing. That’s a huge benefit. I think one of the big things that a lot of people underestimate is that, so if you work for the Federal Government and you work for the public sector, in general, generally pay levels are lower, but the pension and healthcare benefits are so big that net/net, the aggregate total compensation over your lifetime is, in many cases, higher than you’re going to make in the private sector. Bruce:	I would hope I live that long, really. I would hope I live that long. Steve:	Yeah, the down … Yeah. Bruce:	There’s a gentleman, who lives here in Mill Valley. He’s the oldest living DEA agent. He retired in 1973. He’s 91 years old. God bless him. He still lives by himself. He still drives. I try to see him every once in a while and take him out for lunch, and just a wonderful guy to talk to. He has been retired longer than he was an active agent. His benefits, he has … His retirement, I think, each year, is more than what he ever made in a yearly salary. Steve:	Right, because it adjusted for inflation? Bruce:	There’s a network, an organization of retired agents, and they do some philanthropy work. They spend time recognizing current agents for some of their outstanding work, and they offer college scholarships and do some other charity golf tournaments to support families of fallen agents, things like that. I met him, I think, my first year here in San Francisco, in 2012, realized that we’re basically neighbors, live two miles away, as the crow flies, and that he’s on his own and by himself. I think it’s nice to pay him a visit every once in a while and share a glass of wine. He loves his wine. He’s just a wonderful guy. He can tell you stories about, in World War II, at his age, he was drafted in the last years of the war and reported to Angel Island, was put on a ship, and spent a year as part of the U.S. Occupying Force in Japan. The war was over by the time he got finished with his basic training and stuff, but he spent a year, got on a ship right at Angel Island, sailed under the bridge, and that’s what he did. He’s just an amazing man, and it’s been wonderful to know him. We can all aspire to live as long as Bob has and have such a good life. Steve:	Well, it’s great that you’re engaging with him and finding him. I think a lot of people … There is so much knowledge and great experience in older folks that is largely untapped. This sounds like Bob has some amazing stories. I was reading … There’s a New York Times article about trying to put senior communities near child care, or put them in the same building, so that older folks can engage with the younger kids, and there’s some positive synergies there versus, I think, in our society today, in many cases, older people are warehoused. You hit a certain point, okay, you’re less useful, and into the old folks’ home, and then you’re irrelevant, and it’s very disengaging for the folks and actually super unhealthy for them, too, because they’re isolated there. It’s cool that you’re engaging with him and learning from him. All right, so before we move on from the financial stuff, any … With your TSP, do you manage it yourself or did you roll it in … Can you roll it into a rollover or something like that? Bruce:	I can leave it under the Government’s TSP plan for as long as I want to. The fees are very small, and I can leave it there untouched until I’m 70 years old, and then have to do some type of withdrawal, just like your 401(k)s. The fund seems to be managed very well. There’s no reason not to … to move it at this point. Now, this current, the current, Administration is making some changes to the TSP that will make it more user-friendly for retirees to not have to be locked into either an annuity or only so many withdrawals a year. They’re going to make that more flexible, which I think is great, because people sometimes have unexpected expenses, whether they’re medical expenses, or they want to take that trip of a lifetime, while they’re still able to. The fund is going to become more flexible, which I think is good. Steve:	Got it, so just to recap then. You’re getting your pension. You’re keeping your money in your TSP. You’ve got health care at a relatively low cost. You’re working part-time. In the future, you’ll claim Social Security. How are you going to claim Social Security? Have you thought about that, like at what age? Bruce:	I will try to push it off as late as possible. As I understand it, if you wait until 70 years old, your monthly benefit will be higher than if you took it earlier, so if I don’t need to use it before 70, I don’t intend to. Steve:	Yeah, basically the rule of thumb is if you’re married, the highest earning spouse should delay as long as possible, ideally until 70, and the reason is that a surviving spouse will get a higher benefit. It’s really better to think about it like, oh, okay, will this make a huge lifestyle difference, if you passed away first, for my wife in her last 10 years of life, at 90 years old. The answer is, in many cases, yes. That’s why it’s a good way to think about it that way. Okay, so that … I appreciate all the insight about and openness about how you’re doing your retirement financial stuff. Moving on to what your life is like these days and how you look at it, so you’ve gone from 28 years, one career, I mean, pretty interesting career arc. Now you’re relatively financially independent, and you can do whatever you want. How do you choose what to do? Bruce:	Well, there’s been a lot of things to choose from. I will tell you. Before I got hired with DEA, I mean, it was the only real job I ever had. I made pizzas in college, worked at a kosher style deli, and that was really about it, so from a professional standpoint, that was it. When I decided I was going to retire, just putting together a resume and learning how to network and do all those things that you really need to do were all new to a guy 51 years old. I was able to navigate that fairly well. I got some help making a resume from a professional, a service that I paid for, which I think definitely paid for itself. When I came back, there were a lot of different opportunities, some things I really wanted to do, that I still hope may come to fruition. I enjoyed teaching when I was working at our academy, and I taught police officers from all around the world and traveled to a number of countries to do it. I thought that was great, and I’d really like to do that again. That hasn’t come to fruition, but I wanted to stay engaged with my expertise, things I had done. One of the first things I started to do when I came back, that I’d loved doing part-time when I was employed, was coaching. I have two boys at Tam High School on the football team. I had asked if they needed any more assistant coaches, and they welcomed me with open arms. I used to help coach with Pop Warner, the Southern Marin Broncos here in town, when my boys played. The day I got off the airplane, my first day of being a retired guy, I was on the football field, and between helping with the high school and helping with the Southern Marin Broncos/Pop Warner, I was working seven days a week coaching football. It was Monday through Friday of practice. The high school had games on Saturday, the Pop Warner kids had games on Sundays. I’m like, “Wow.” I realized that you need to do something. You need to have a plan to stay engaged, to find a purpose, to want to be active, right? Football was that way for me to get started with a schedule. I had to be somewhere at a certain time each day. I had a plan, right? After doing that for four months, I’d been networking in some other fields. I took on some consulting work, doing due diligence audits of pharmacies, which was kind of in my stream of consciousness and my experience with my familiarity with toxicologies in medications and prescription medications that are causing a huge issue in the United States right now. I was doing that as a consultant and learning how to be in business for myself, as a sole proprietor, and very flexible. I realized that I really liked the flexibility. Then, one day, I’m dropping my son off at the Mill Valley Community Center. I’d done some community work for them, the Mill Valley Aware Drug and Alcohol Task Force is run by the Recreation Department. Of course, the free gym membership is great, so I started working for the Recreation Department. It’s part-time and 8, 10, 15 hours a week, very flexible. My commute is all of two and a half miles. They’re a great group of people to work with. Most of them are much younger than I, but they serve a great need in the community. They do such fantastic things with swim lessons and programs for the elderly. I really like that sense of being a part of my community. Steve:	That’s interesting. It sounds like you retired. You didn’t have a complete perfect plan about exactly what you were going to do, but you knew you were going to do something engaging. You found … You did football coaching. You’re doing this stuff in the community with the fields. You seem happy. Are you pretty happy doing that? Bruce:	I am. I still do … When I was here as the Assistant Special Agent in Charge, I was doing some public speaking at schools, community groups, and now that I’m retired, I’ve been asked to continue to be a part of that. The County of Marin has their RxSafe Marin program, which is trying to lower the misuse and abuse of prescription medications. I was there with them when it started in 2014. I’m still a part of it. The Marin County Office of Education holds a school/law enforcement partnership meeting five times during the school year, where they bring together vice principals or principals from the different high schools and middle schools, as well as the school resource officers that cover those schools, together, and they talk about issues of concern. When I was still with DEA, I did a couple of presentations with them on different types of drugs, for their knowledge and awareness. I was asked to continue to attend those meetings, which I enjoy doing. Steve:	As a parent, yourself, does it scare you? Bruce:	Oh, it scares the hell out of me. Steve:	What do you find the most scary? Steve:	They can’t get back. Bruce:	It scares the hell out of me. Now, my kids, seeing me come home from work sometimes kind of bloodied and beat up, and having to take all my protective equipment off in the garage and throw it right in the washing machine or whatever, I think they fully grasp it. I think they fully get it, but there’s still a lot of pressure. You go to parties, or you’re with kids. I hear from my kids about the things that they’ve seen or heard that go on in the schools, whether it’s the middle schools or the high schools, whether it’s the vaping or drugs or kids showing up to school drunk. It’s terrible. Bruce:	Every school has a drug and alcohol problem. Bruce:	If you’re deciding where to send your child to high school in Marin County, based on who has less of a drug or alcohol problem, you’re killing yourself, because they all have it. They all have it. Bruce:	Yeah, I don’t know about that, actually, but I mean that’s … You think of heroin, when we grew up, when you thought of somebody who used heroin, you thought of a homeless person on the streets, who you saw half asleep with a needle in their arm. Heroin addicts now look just like you and I, dress just like you and I, live in the same houses like you and I. It’s amazing how mainstream that addiction has become. Steve:	That’s interesting. That’s pretty scary. I mean, I’ve seen the videos in San Francisco and also just walking around San Francisco now, you’ll be downtown, and there are drug addicts, junkies, sitting on the sidewalk against buildings, lots of them per block, with the needles in their arm. There was a video about some guy walking through the BART tunnels, and the hallway was lined with these folks. I think to myself, where did they all come from? They came from all walks of life, but they end up there. I’m sure what you’re saying is on the way. There’s a bunch of people that are highly functioning addicts in communities out there that haven’t hit that stage of it. Maybe they won’t. Bruce:	Maybe they won’t, but at some point maybe they will, right? Bruce:	They just didn’t go from living in a community, and having the things that we have, to being homeless. This was a long road to misery. Whether it’s drug addiction or mental illness or a combination of the two, we do a terrible job in this country of dealing with it. Now, my whole career … People will ask me a lot about addiction. I’m not an addiction specialist. That’s not my training. I was on the hard side of this. I was on the law enforcement side of this. I spent 28 years putting bad people in jail, not so much users of drugs, but those who sold it and made it, those who have no morals about what they’re peddling to these poor people. It’s all greed. There’s no conscience with these people. Steve:	Right, it’s just a business. Bruce:	Now that I’m retired, the things I want to do, the things I want to be engaged in, like working with the County of Marin, working with the City of Mill Valley, and coaching football … I spent 28 years putting people in jail, bad people in jail. They didn’t start out bad, right? Environmental factors made them bad, so when I get an opportunity to work with young people in a positive environment, if that somehow leads them to not go down a path and become a bad person, that’s awesome. Bruce:	That’s what I want. That’s all I want now. Bruce:	Kids who use, try drugs, use them, whether it’s the peer pressure or just out of curiosity … I mean, they’re kids. Their brains aren’t fully developed. It doesn’t make them a bad kid. It just means they’re a kid, right? They’re a teen. Teens do risky things that we wouldn’t do, because they don’t have their brain in place to fully see through all the repercussions of their actions. That’s what makes them kids. That’s what makes them do stupid things sometimes, but they’re not stupid. They just … They’re just not thinking, right? For parents, I would say, be involved in your kids’ lives. Talk to them. Remember, you’re not their friend. You’re their parent, all right? It’s your job to protect them. If protecting them means if you have concerns that they may be using drugs, when they go to school, searching their room, search their room! That’s your job, as a parent, to protect them. If you don’t know where your kids are at night, because they’re not comfortable telling you, that’s not good. They’ve got to know that they have that support. Coaching football with my sons, at some point I realized that they’re teens now. They may not always want me there, involved in every aspect of their lives. I get it. It’s time for me to give them their space, but I want to know them. I spent so many years missing birthdays and being out of town, or being in town, but not even being home for four or five days, because we’re on this extended surveillance or we followed somebody to another city or whatever, and I missed a lot. I’m tired of missing a lot. I’m tired of missing a lot. I still have two of them in the house, but you’ve just got to know your kids. Take the time. If there are social events, where you’re meeting the parents of their friends, it helps, because you just want to be involved in their lives. You don’t have to be over their shoulder and be that helicopter parent that we all hear about, but if you’re involved in their lives, then you’ll know if things are going awry, if they’re acting differently, if their grades are suddenly changing for the worse, the way they’re taking care of themselves, you’ll know. If you’re not, you won’t see the signs. Steve:	Well, I appreciate the first hand summary. I mean, as a parent myself, I definitely think about these things and try to help my kids make good decisions, but yeah, they are their own people. I think kids these days … The world has changed so much since you or I were in middle school or high school. Essentially, they can see everything. They can learn everything. Their friends can learn everything. The stuff, even in movies and media, it’s surprising to me what is made fun of, but yeah, you have to try to help them make a decision, because they still want to take risks, but the risks they can take can end up blowing themselves up. There’s also just … I have a much higher level of anxiety and worry with these kids, because I think they’re exposed to so much stuff, and then they can experiment with drugs to try and self-medicate, and then all bets are off, because they can go down a bad path quickly. Bruce:	It’s not like going to the back alleys or the bad area of the city to buy these things. I mean, you can order it on the Internet, have it delivered to your house. You can … Well, what we see with a lot of the young teens is they’re obtaining their prescription medications from their own parents’ medicine cabinet, so they’re taking prescription medication that’s not prescribed to them, but they’re not buying it. They don’t have to go anywhere to get it. I mean, I’ve had a number of operations, whether it’s sports or work related, and other people who have had these things, you get prescribed these really high strength, opioid based pain medications, and you take a couple, and the other 27 of 30 are sitting in your medicine cabinet. For parents, when was the last time you counted those pills in your medicine cabinet? Are they still all there? Are the pills that are actually in the bottle really the pills that were supposed to be in that bottle, not just some Tic Tacs or some baby as soon as? Bruce:	Not only are they taking it from their own parents’ medicine cabinet. They’re raiding their friends’ parents’ medicine cabinet, or grandma and grandpa’s, because we all know how much medications our seniors are getting prescribed. Steve:	All right, well this is super helpful. I think we could have a whole podcast on parenting and drug use and everything else. Okay, so any other … I guess, I had one last kind of random question, which is would you encourage your own kids to go into law enforcement after this experience you’ve had? Bruce:	Potential for, yeah, that huge payoff, where I had to invent something or create this or lead this new company or whatever. I’d like to think that when I left, I made the world a better place. Steve:	Well, you can still do it now. I mean, the largest number of companies are actually started by people over 50 these days, so you’re a relatively young person, got a lot of energy. You have a high degree of financial independence. If you wanted to, you could go create … You’re here in Silicon Valley. You’re close to it. You know, you could do it. Bruce:	I could. I know people in my profession, who have left and gone out and started businesses. Again, I missed a lot. I’m married to my high school sweetheart. We’ve been together for 35 years and married for 27. I like the flexibility of my time to spend more time with my beautiful wife and my kids. We’re doing just okay, living here in one of the most expensive cities of the world, so I like where I’m at. Steve:	Sure, well, I think being thoughtful about your life and those trade-offs, and yeah, you’ve got a fair degree of financial autonomy. You’ve got great community, time with your family, control over your time, and you can … You’re being purposeful. That is essentially the recipe for being happy, because you can go out — we’ve talked about this on some of the podcasts — and kill yourself for 30 years doing this or that, or trying to make five, 10 million, 20 million bucks, and sometimes it succeeds. Many times it doesn’t. At the end of the day, if you look back and you’re like, “Well, what are those trade-offs?” because there are always costs to everything. Nothing is free. It’s great that you’re being thoughtful about it. One last thing, on the international stuff, you mentioned best and worst place, or places you would go and places you wouldn’t. What are the places you would go? Well, what do those two buckets look like? Bruce:	I spent a little time in Asia. I was in the Philippines and in Thailand, gorgeous. I would like to explore Vietnam. I would like to spend more time in, say, Japan. I mean, I’ve been so many places, but there’s still so many other places that I’d like to see. I loved my time in South America. The biodiversity in Ecuador, in the rainforest, the Galapagos Islands. The biodiversity of flora and fauna that you can’t see anywhere else in the world is incredible. Just to go through some of those areas and see it, and be there at sunrise, or navigate down a river, and there’s large animals just right along the riverbed. It’s just travel in general, and making that time to enjoy it more than from traveling down that river and looking for the boat with three kilos of coke that’s supposed to be coming the other way at three o’clock in the morning, it’d be better. Steve:	Yeah, sure, more relaxing. What about places you would not go back to? Bruce:	Well, it’s the same thing. I spent some time along the Ecuador-Colombian border. The governments of Ecuador and Colombia have very little control in some of these far-reaching areas of their territory. It’s extremely dangerous. I could say that for parts of Mexico, as well. That’s true for the northern border of Thailand, with Myanmar. There are places … If you’re in any major city in the United States, there’s just some places you try not to go to at night, right? They’re not safe. That’s the same for any country in the world. A lot of people have caused a lot of death and destruction to bring drugs to the United States. I think people lose sight of everything that’s involved in that little hit of coke or that joint they smoke or whatever. They lose sight of the big picture of the violence and the misery that’s involved in that line of work, in bringing that small tenth of a gram of whatever substance. Steve:	Yeah, it runs over people and human trafficking and all kinds of stuff. Bruce:	A lot of it’s interconnected, drugs and terrorism are connected. Human trafficking and drug smuggling are connected. These are organizations that are just out to make money, and whether it’s trafficking people or trafficking drugs or promoting terrorism, they could care less. Steve:	When you were overseas, did you interact with a lot of expats, like live with, and did you see older folks? One of the things with our community is people are retiring overseas, in South America. You can go to Mexico. You can go to whatever various places. Bruce:	Right. Places that have been historically famous for U.S. retirees, in parts of Mexico, Costa Rica, Ecuador, very much so, and we met a number of them. Having my parents, luckily, still with me, my in-laws still with us, and a big extended family, while it’d be wonderful, say, to live in Ecuador … I speak the language. I know a lot of people, but still, you’re far from home. Bruce:	I’m getting on an airplane, not knowing if my dad’s going to be alive when I get off at the connection. Bruce:	Is being closer to family. Steve:	Would you … Okay, so you personally probably wouldn’t spend more of your retirement overseas, just because of the distance and logistic, or maybe certain places. Bruce:	Yeah, at this age, not on a full-time basis, no. Bruce:	Not on a full-time basis. Steve:	Okay, do you feel like the expats, that are in some of these countries that might be more risky, are fully aware of the risks and know and are “street smart” about where to be? Bruce:	I’ve talked to a few of them, and, at the beginning, there were things that they didn’t quite think through, health care, access to health care. While things are very inexpensive, that was a number of the issues some people raised to me. Not so much issues, but things they didn’t quite think through at the beginning, was access to good health care, as they got older, living in another country. The language barrier didn’t seem to be a big issue. They enjoyed the fact that their Social Security checks or their limited pensions went so far, that their standard of living was higher than it would have been in the United States, and that’s what a lot of them were looking for. Steve:	Yep, wow. All right, well, I think we’ve covered a lot of stuff. Steve:	Any questions for me, or anything like that? Bruce:	No, I would just say, for people who are retiring at a young age, like myself, being retired from your career doesn’t mean you’re retired from everything. I, fortunately, still have kids in the house, so I have a regimented schedule around them, getting up, make sure they get to school, and getting the breakfast, and things like that. You want to stay active. You want to have a schedule, and it can be, “We’re going kayaking at nine o’clock,” or, “We’re going to hike Mount Tam at 10:30 today.” Whatever it is, have a schedule. As you ease into not getting up and going to work every morning, have something that keeps you on track. Steve:	Is your wife still working? Steve:	Oh, okay, how does that go? Well, so you have a much more flexible schedule than she has. Bruce:	Yeah, my wife works from home, and so she has a very flexible schedule, as well. I mean, my wife had … This is her third career, because with all the times that I was moved, this is the seventh house that I’ve lived in since we were married, she’s actually had to give up her first two careers for me, so my wife is a saint for that. Just having that flexibility that she has now to take her job wherever we go is something she had to learn to adapt to, based on my career. Her first career, she was actually making more money a year than I was. Then we got up and moved, so that was a huge difference. Steve:	Well, that’s cool that you’re making it work. All right, thanks, Bruce, for being on our show. Thanks, Davorin Robison, for being our sound engineer. Anyone listening, thanks for listening. Hopefully you found this useful. Our goal at NewRetirement is to help anyone plan and manage their retirement, so that they can make the most of their money and time. We offer a powerful retirement planning tool and educational content that you can access at newretirement.com, and we’ve been recognized as Best of the Web by groups like the American Association of Individual Investors. Ready to update your retirement plan?